Conservation groups are suing the U.S. Forest Service over plans to build a new trail for off-road vehicles on the Oregon Dunes National Recreation area. Coos County purchased the 135-acre Riley Ranch near Hauser in 2002, and the county has planned for dunes access to the Coos Bay portion of the Oregon Dunes National Recreation Area. The mile-long trail would link Coos County's Riley Ranch campground north of North Bend with another parcel of county land that is open to OHV riding (yellow line in photo shows proposed route). The Center for Biological Diversity (one of five plaintiffs in the new lawsuit) contends the Forest Service isn’t following its own rules. It complains the agency failed to designate motorized trails within an allotted three-year period when the dunes NRA management plan was passed in 1994; a section of the land the trail would pass through is designated MA 10C, which is closed to motorized use; and that the trail violates the Forest Service’s 2001 Roadless Rule. A Biological Diversity attorney bluntly said these points of contention are just a means to an end. The group opposes ATV access into what it considers to a be a fragile and unique habitat, and will do anything it can to throw a wrench in the works. The Riley Ranch project has broad appeal to the OHV community, as it would offer a new point of direct access to the middle of the dunes, roughly halfway in between the southernmost access at Horsfall Campground and Spinreel to the north. Conservation groups filing the lawsuit conveniently forget to mention details about the land in question. This isn't some remote area that is untouched by man. 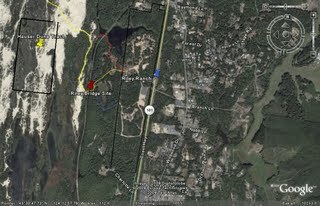 The area in question in the is less than one-half mile wide, sandwiched between U.S. 101 on the east and a railroad track on the west. More than half the width is owned by Coos County (from U.S. 101 to halfway to the RR track) and less than half the width by the Forest Service. West of the RR tracks is an open ATV riding area, according to the 1994 and still current ODNRA Management Plan. So we're looking at an area less than one-half mile mile wide and less than half a mile long, bordered north and south by private ownership and east by county ownership, with a rail road track on the fourth side. This begs the question "why would the Forest Service designate an area like this as a roadless area?" The most likely answer is that the area isn't, but by throwing the "roadless" term in their press release, conservation groups can create more drama and in the end get more people to donate funds for their frivolous lawsuits. Conservation groups also challenge that the Oregon Dunes is over run by ATVs and their isn't anywhere to take a quiet walk in the dunes. Once again, conservation groups are attempting to paint a picture to future their agenda without telling the public the truth. 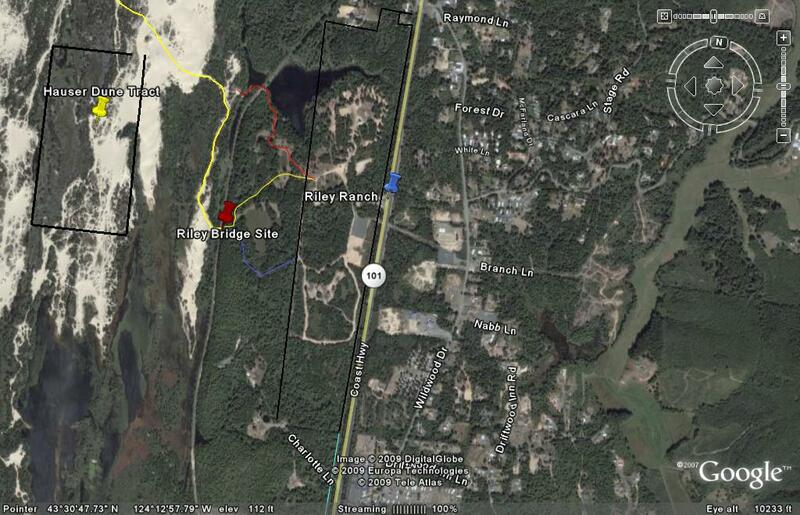 The fact is that more of the Oregon Dunes National Recreation Area is closed to vehicles than is open to vehicles. Environmental groups that are part of the lawsuit are: Umpqua Watershed, Cascadia Wildlands, Wildlands CPR, Oregon Wild and the Center for Biological Diversity. If you have a new Off-Road Vehicle product or other dune related news that you would like to be included here,please submit the info to jon@duneguide.com. Make sure you include: Company name, phone and website. Images should be less than 100k and 800x800. A link to www.DuneGuide.com from your website is always appreciated. Copyright © 2008 Crowley Offroad LLC. All rights reserved.